1/16 Decals for German Tiger I Tank, Wittmann Discounts Apply ! 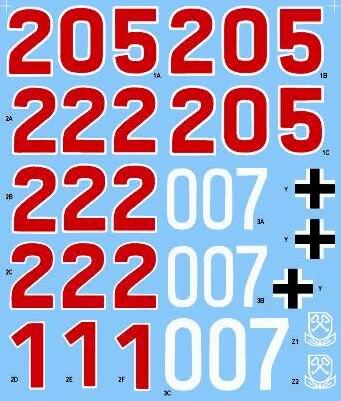 ELA1611 - 1/16 Decals for German Tiger I Tank, Wittmann. This incredible decal sheet contains markings for up to 4 Tiger�s used by Wittmann in Normandy 1944. Each decal sheet also includes a CD-ROM with detailed instructions. Discontinued Item.